It’s been a minute since we’ve seen any of Ken Griffey Jr’s signature Nike kicks hit the wall but now, thankfully, the wait is over. The ‘White/Black-Hyper Jade’ Nike Air Griffey Max 2 that was released today was first teased by “The Kid” himself on his Instagram page along with a couple of other new unreleased colorways. 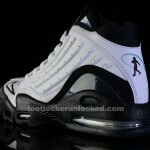 Today’s release has an all white smooth leather upper with nubuck overlays on the toe and heel. 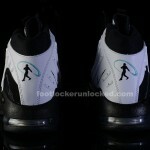 A carbon-fiber heel counter is integrated towards the back of the shoe where Griffey’s signature brand logo is featured. Air Max bubbles dominate the midsole. 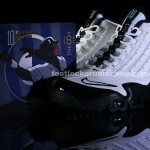 The pair also comes with a collectible Ken Griffey Jr. card that you can see in the photo above. 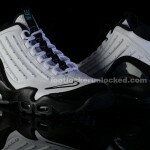 This Nike Air Griffey Max 2 released today, October 10, and is in stores and online now for $ 150! 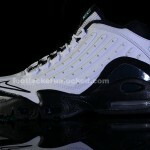 Click here to get a pair of your own from Footlocker.com. 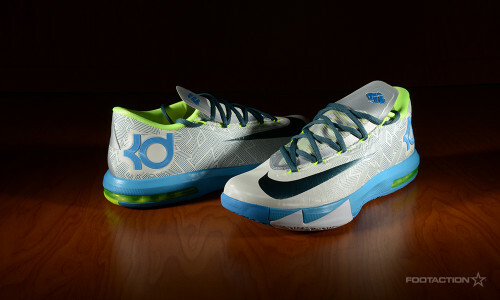 The release is also available grade school sizes. 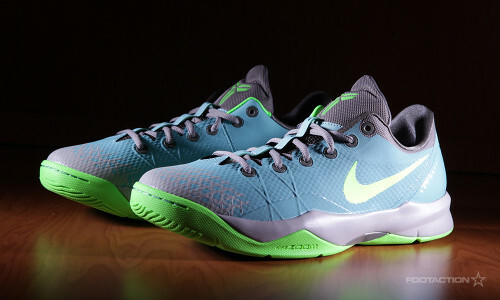 Jumping off of the last Nike LeBron 11 to release, the Nike Zoom Kobe Venomenon 4 gets the “Diffused Jade” treatment as well. Designed for performance for both the court and pavement, the Venomenon sports a Hyperfuse construction for light, breathable durability. To get technical, the shoe’s outsole employs Blade Traction technology for durability on outdoor courts and forefoot Zoom unit cushions for comfort. The official colors that make up the sneaker are diffused jade, electric green and light loden. There have been a slew of recent LeBron releases but we’ve got one more for you and it’s super sleek. The Nike LeBron 11 “Diffused Jade” will drop on Saturday and is named after the accent color which accounts for the majority of the color pop on the pair. Cloaked in a mostly black upper this release has diffused jade accents on Nike and LeBron branding on the toe, tongue, and inside of the sneaker, as well as the shoe’s inner lining. A frosty diffused jade outsole also gives the shoe some pop and character. Light crimson is also prominent on the shoe’s black background taking care of the lace loops, tongue accenting, and woven in on the laces. The Nike LeBron 11 “Diffused Jade” drops on Saturday, February 22 at Foot Locker, House of Hoops by Foot Locker, and online at Footlocker.com (starting at 8:00 a.m. EST) for $ 200. It will also be available in kids grade school sizes. Check the Launch Locator to see which stores will have this release and let us know what you think of the shoe in the comments.